Wanna win some dapper duds? by Mir at 10:25 am on November 7, 2018 in Contests, Hot Hot Hot! You know I always give stuff away during the week leading up to Black Friday, but this year Savings.com is outdoing themselves with 12 Days of Giveaways way before that. 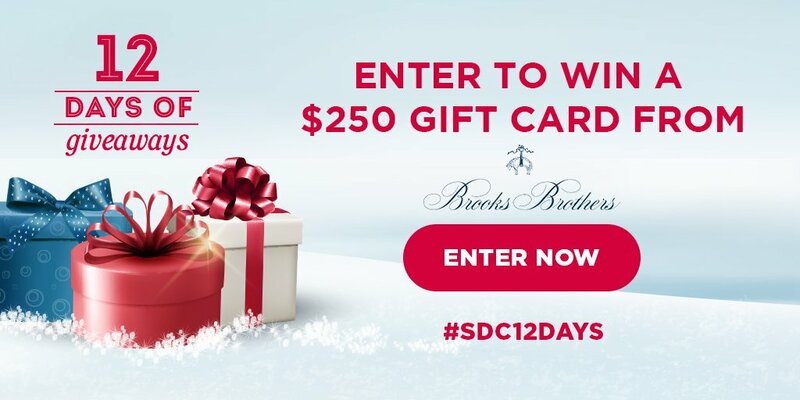 Today you’ve got a chance to win a $250 gift card to Brooks Brothers, and while I can’t promise you’ll win, I can promise you that you won’t if you don’t enter. Go ahead and click, get your name in the hat, and let me know if you win! My apologies for not getting this posted last night. For some weird reason I’m exhausted, almost as if I’ve been working a lot lately. Huh. Anyway! Yesterday for Cyber Monday I offered you the chance to win a cool ZEISS VR ONE Plus virtual reality headset, and everyone seemed just as excited about it as I was. The only bad part is that I only have one to give away. Nonetheless, my random commenter picker has spoken, and despite the huge number of entries, it spoke thusly: Commenter 30, Missy, is our lucky winner. Congratulations, Missy! Please check your email!! For those of you who are new ’round here, I hope you’ll hang out for a while and see that Want Not is about more than free stuff. It’s also about really good deals on stuff, and also sometimes me complaining about my dogs. I mean, how could you possibly resist? Goooooood evening, everyone! Did you have a good shopping day? I am beat. I think I’m going to go curl up with a dog (or three; we have an extra here this weekend) and chill out for a bit. I hope you enjoyed the deals this week and also the giveaways. Oh, right, that—the giveaway. Today’s giveaway! I bet you’d like to know who won that, right? I checked in right at 8:00 to pull the winner, and my random-number-picker-plugin (technical term) chose commenter 129, Sonia. Congratulations, Sonia! Please check your email—I will send you the online code for your $100 Amazon certificate as soon as I hear back from you (assuming I don’t fall asleep on the couch with the dogs). I hope you enjoy the spoils of your hard work today! I mean, commenting was hard work, yes? Yes. Huge, big, heartfelt thanks to everyone who hangs around here, this week and every week. Want Not truly would not exist without my lovely readers, and I’m grateful for you. And if you didn’t win this week, please do not be sad. The deals will keep on coming, and I’ll have one more giveaway on Cyber Monday, too, which I think you’re really going to like. In fact, I’m going to go out on a limb here and say that I think it will be… virtually fantastic. Stay tuned for that. Now. Go enjoy your leftovers. So here you go: Our first winner is Mark (commenter 14), who will receive the origami books; our second winner is Becky (commenter 60), who will receive the bricks books; and our final winner is Julie (commenter 27), who will receive the cookbooks. Congratulations, winners—please check your email! It’s very difficult to mail prizes out when I don’t have addresses, so please do respond so I know where I’m sending things. As always, thanks to all who played, and special thanks to the generosity of the Quarto Group for the bricks and origami books, and to the Random Book Fairy (a.k.a, some PR person who I think sent me a package by mistake) for the cookbooks. Tomorrow is Black Friday, which means I’ll be here scoping out the deals all day long so that you don’t have to leave the house. It also means our biggest giveaway of the week, though it’s not a finale, per se, because I have something really cool saved for Cyber Monday, too. Regardless, be here early tomorrow to find the best deals and potentially win something that will help you get your shopping done. Anyway! Today’s giveaway post leads me to believe that either you did not burn your pies or you’re not cooking this year, because plenty of you were ready to win some goodies. The random number picker has spoken, and your winners are: Sarah (commenter 17), who will be receiving the Magnaflex set, and Shannon C (commenter 49), who will be receiving the cutest stuffed sloth on the face of the planet. Congratulations, winners! Please check your email so I can get your prizes out to you! As always, thanks to everyone who played, and special thanks to our generous friends at WowWee (and their helper elves at Resound Marketing) for the Magnaflex set and to My Baby’s Heartbeat Bear (and their helper elves at Light Years Ahead) for the sloth which isn’t actually a bear at all. 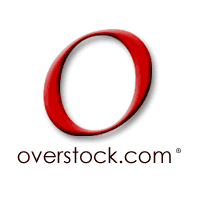 We love prizes, and we love the companies that make giveaways like this possible! Didn’t win today? Don’t despair! We’re only halfway through the fun (yes, I realize it’s Wednesday, but this is the third of six contests, because we’ll go through Friday and then do an encore for Cyber Monday) and tomorrow, yes, I will probably be wrecking my kitchen all over again, but I will also be back here bright and early with another chance to win. Don’t forget to check in and enter! We’re two days in to this year’s Big Prize Week and already prizes four and five are about to head out the door. I may actually be starting to feel some holiday spirit, y’all. Today I offered readers the chance to win a Strictly Briks or Craft City set, and I’m sorry to give you such a tough choice, but hey, that’s how it goes, sometimes. And once again, my handy-dandy WordPress number-picker-thingie has spoken. Tina (commenter 22) has won the Strictly Briks set and Jennifer Ladd (commenter 64 won the Craft City Slime Kit. Woohoo! Ladies, please check your email—I’ll be getting your prizes shipped out to you very soon, once you get back to me with your shipping info. As always, thanks to everyone who played, and special thanks for the generosity of Strictly Briks (and their helper elves at KidStuffPR) and Craft City (and their helper elves at Media Maison). They’re the reason I have things like this to give away, so do please give ’em some love when you’re doing your shopping this season.